This is the first of myDMin book reviews because this was the most enjoyable of the books. 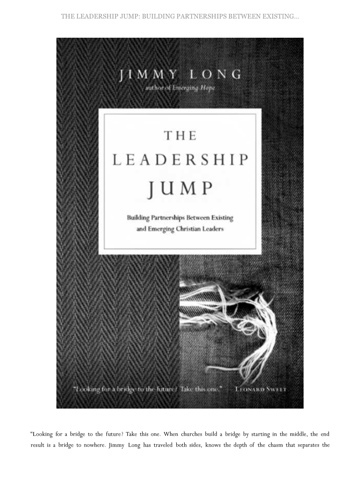 I hadn’t read Jimmy Long in a decade, but quickly remembered why I appreciated his books early in my ministry. 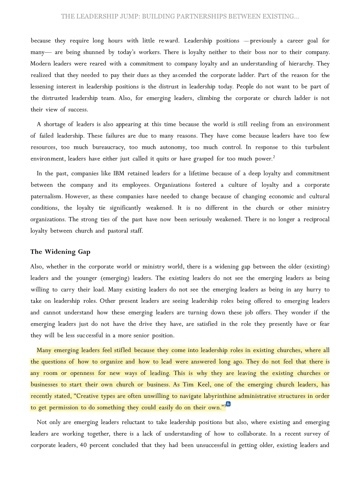 Long describes well the huge gap in leadership styles between existing and emerging leaders. He is intentionally vague in pin pointing an age associated with these leadership styles, but implies that most emerging leaders are your stereotyped GenXer and millenials. However is point is spot on and for young leaders working in established institutions, you will be able to resonate in the stories and antecdotes. I’ve included a highlight from the book that struck a particular chord.